Are you tired of making cushions, bags and garments with elasticated waistbands and would like to move up to the next level? Have you tried your hand at making up a simple garment using a “very easy” commercial pattern but it didn’t turn out as well as you hoped it would? Would you like to start making yourself beautiful and unique clothes that fit like a glove but are too scared to go it alone? We don’t blame you! Understanding commercial patterns, how to alter them in order to make garments that fit well and how to put into practice what’s written and illustrated in their instructions can be very daunting if you’re new to dressmaking, so let us help you with that! 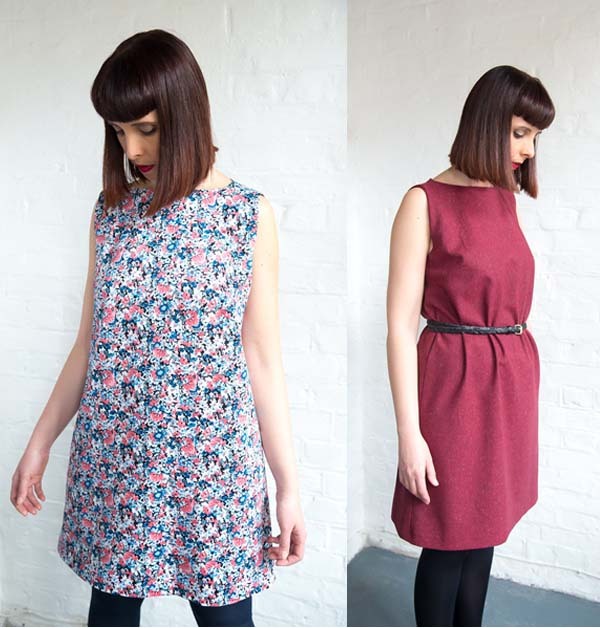 This course is the perfect place for advanced beginners to get started on the real dressmaking journey and the perfect follow up to our Complete Beginners Sewing Course . In order to attend, you’d need to be very confident on the sewing machine, have completed a few basic sewing projects and at least one basic dressmaking project, or taken either our Complete Beginners Sewing Course or equivalent elsewhere, or a combination of two of our shorter beginners courses such our Ultimate Beginners (Gifts & Accessories) course followed by the Easy Pyjamas Intro to Sewing one. *Please note that depending on how you do on the Complete Beginners Sewing Course or other beginner courses, you might still not be ready to move up to this course and might need more practice at a beginners level. In order to attend this course you are expected to be able to set up and use a sewing machine without assistance. You must also have a sewing machine at home or access to one, as you will have a few things to finish at home. 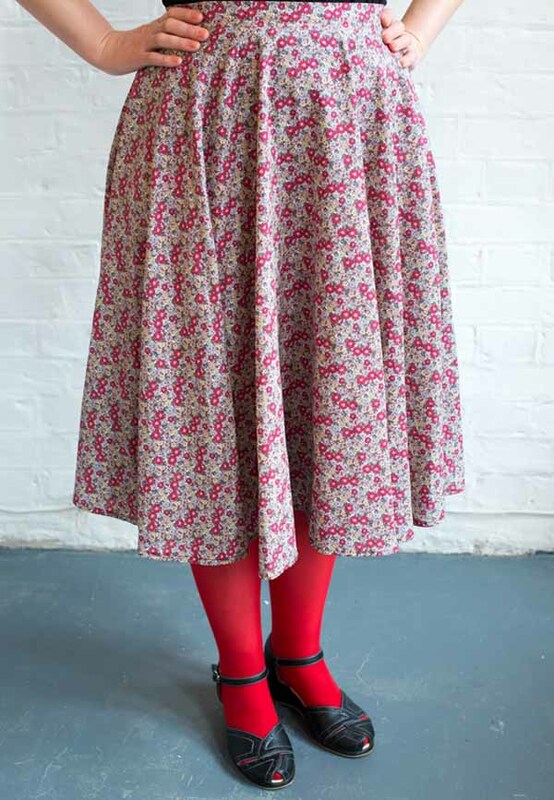 This course will take you from making a super flattering circle skirt to completing a stylish shift dress in your preferred length (or you can make a top or tunic instead if you prefer!) providing you with the knowledge and confidence you need to get started on similar or more advanced projects at home. 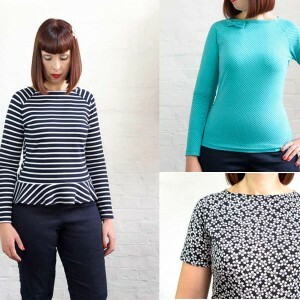 How to alter the pattern to fit you, including those much dreaded bust alterations! How to create and finish a hem and much more! We have a lovely selection of suitable fabrics available to purchase during the course at very affordable prices, including some gorgeous Liberty prints! If you would rather bring your own fabric please refer to the quantities and types below. We also sell all the haberdashery needed for both projects including interfacing, zips and threads. *PLEASE NOTE YOU WILL ONLY BE MAKING ONE OF THE FOLLOWING GARMENTS BELOW NOT ALL THREE OF THEM. Please bring enough fabric for the one you decide to make. 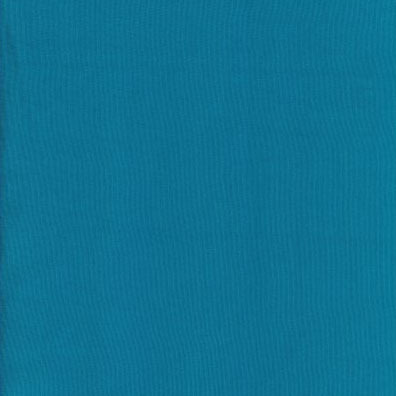 Recommended fabrics: Woven (non-stretchy) fabrics such as medium weight cotton, cotton chambray, cotton lawn, poplin, linen, challis, lightweight denim, crepe, lightweight wool. *Please remember that very thin, shiny and slippery fabrics are difficult to handle and therefore not suitable for your level. *Important note: If you’re bringing your own fabric, please make sure to pre-wash it according to manufacturers instructions prior to attending the class in order to pre-shrink it. This does not apply to dry clean only fabrics. Check with the shop about fabric care when purchasing your material. If you’re buying fabric from us on the day, you will be able to steam shrink it at the beginning of the class instead. All classes include patterns and step by step illustrated instructions, so no excuse not to practice your newly acquired skills at home and make these garments again and again! Got a question for us? Please check our FAQs before contacting us! You will also receive a welcome/further info email the day before the course starts. Please check the other folders as mentioned above if it doesn’t reach your inbox.